In this issue we focus on mode of action (MoA) and its importance in insecticide resistance management (IRM). 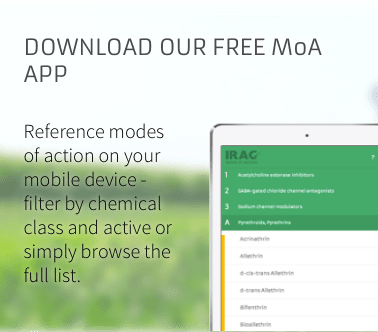 We present a review paper on IRM and the IRAC MoA Classification and summarize the changes that have been made to the latest version of the classification scheme. Download a copy of the newsletter for full details of these articles and find out more about MoA using the links below.